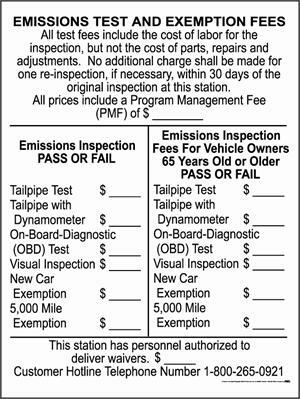 Emissions Test and Exemption Fee Sign - "UPDATE REQUIRED"
Emissions Test and Exemption Fee Sign, required for all Pennsylvania Emissions Stations. 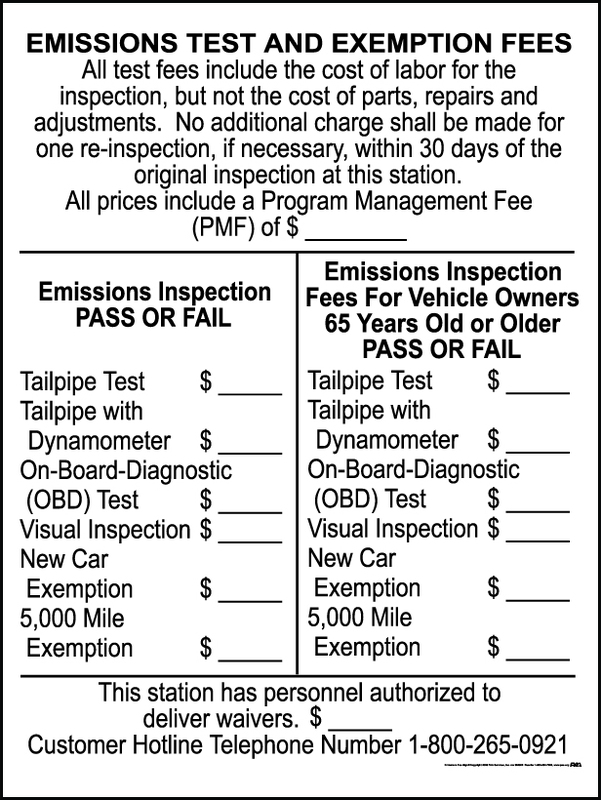 Effective April 9, 2019, changes to the Emission Inspection Program Regulations requires stations to adjust the Emissions Program Management Fee from $1.65 to $1.57 per transaction. If your sign needs to be updated, contact PAA to order a replacement. This sign is 24” x 30” and features wording to comply with the regulations. Laminated for durability, with blank spaces to allow customized pricing. This sign complies with Title 67 Chapter 177.404 (2).